Looking for some great weekend getaways from Auckland? At less than three hours from the city, we’ve found some incredible cities, towns and regions to explore. Check out some of our favourite weekend getaways from Auckland below! Wai-O-Tapu Thermal Wonderland, Rotorua, New Zealand. Image Credit: Christian Mehlführer / CC by 2.5. 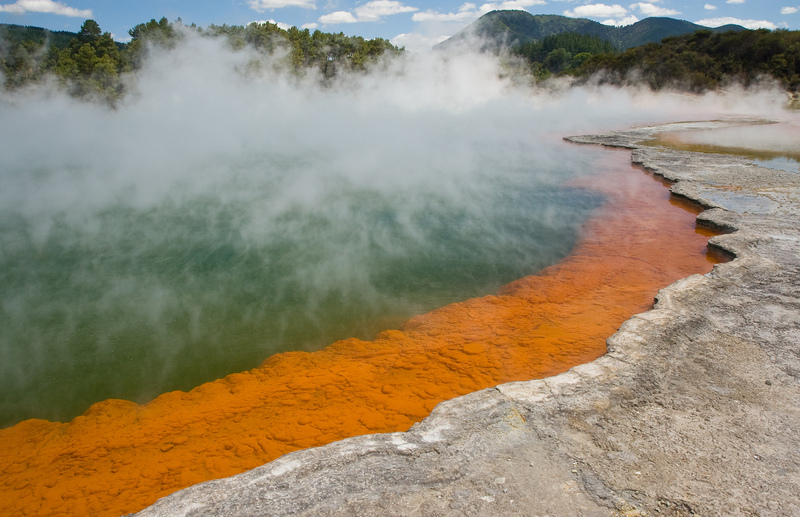 Although Rotorua may be best known for its bubbling geothermal pools, there’s more to this North Island town than first meets the eye. One of the country’s most popular destinations, not only is Rotorua home to other-worldly geysers and relaxing hot springs, but it also boasts a rich Maori culture, making it the perfect place to get in touch with New Zealand’s rich Indigenous heritage. Bordered by the waters of Lake Rotorua and peppered with scenic reserves parks and some breathtaking scenery, there’s an abundance of opportunities to get active, with hiking, mountain biking and countless other outdoor activities to check out. From relaxing day spa treatments through to high-octane outdoor sports, Rotorua is one weekend destination that offers it all. 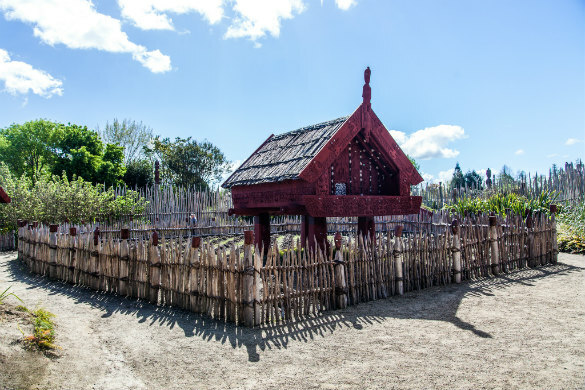 Tamaki Maori Village – learn about the traditions and heritage of the Maori people through interactive displays, engaging entertainment and an authentic hangi buffet meal. Wai-O-Tapu Thermal Wonderland – featuring geysers, a bubbling mud pool and a landscape that would be at home on a martian planet, a visit to the park is a great introduction to the region’s active geothermal scenery. Skyline Rotorua – the perfect way to admire the beauty of the town, a ride on the gondola offers spectacular views of Lake Rotorua and beyond. Bridal Veil Falls, New Zealand. Considered by some to be the surfing capital of New Zealand, Raglan is the place to head if you’re searching for the perfect seaside escape. Lined with black sand beaches and traversed with some wonderful walks, a visit to the coastal town provides a great opportunity to slow down, reconnect with nature and enjoy a break from the hustle and bustle of everyday life. From incredible outdoor activities through to some fantastic local art galleries and unforgettable eateries, there’s something to discover around every corner in this fantastic part of the North Island. Surfing in Raglan – whether you’re a seasoned boardrider or set to have your very first lesson when you arrive, you can’t visit this coastal spot without attempting to conquer the town’s famed surf breaks. 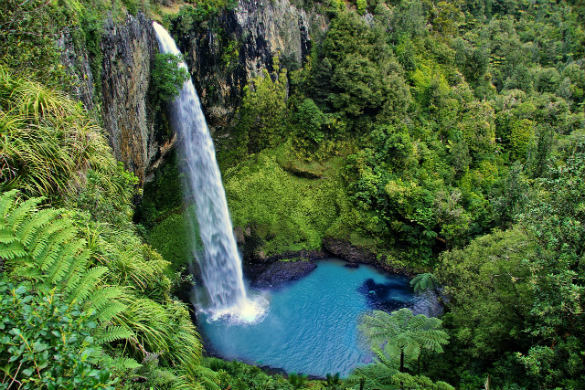 Bridal Veil Falls – just 15 minutes from Raglan, the impressive falls stand at 55 metres high and are easily accessed with a short walk through lush native foliage. Soak up the views and take advantage of the great photo opportunity. Local watersports – while surfing may be the town’s bread and butter, there are plenty of other great watersports to try out, from stand up paddle boarding and kayaking through to kitesurfing. Te Parapara Garden, Hamilton Gardens, Hamilton, New Zealand. Image Credit: russellstreet / CC by SA 2.0. One of the fastest growing urban areas in the country, Hamilton perfectly combines modern city living with a rich local culture, an abundance of natural beauty and countless things to see and do. Situated on the banks of the Waikato River, the city features numerous scenic walks, some great cultural attractions and an active calendar of events throughout the year. Catch a game of rugby or cricket, spend time exploring art galleries and museums, or simply spend some time amongst nature. Whether you’d rather get active, explore the city’s artistic side or just admire your surrounds, Hamilton is one North Island destination with plenty to offer. Hamilton Gardens – one of the region’s most visited attractions, the gardens a home to a collection of themed gardens influenced by cultures from across the world and period throughout history. Taitua Arboretum – perfect for a picnic or a walk with a view, this beautiful parkland is a great place to head for some peace, quiet and tranquility. Waikato Museum – learn about Hamilton’s history and culture through the engaging exhibitions on show. From captivating artworks to celebrations of Maori culture, there’s plenty to discover. Tutukaka, New Zealand. Image Credit: Phillip Capper / CC by 2.0. Another of the North Island’s beautiful coastal locales, Tutukaka is a holiday spot that has been loved for generations, and for good reason. Home to some incredible beaches and an abundance of unique marine life, the region has been rated by National Geographic Traveller as one of the world’s best coastal destinations, with its great diving conditions, chartered fishing trips and great swimming spots attracting visitors from across New Zealand and the globe. Spend time discovering Tutukaka’s unrivalled beauty, encountering the unique creatures that call it home or simply embracing your surrounds. 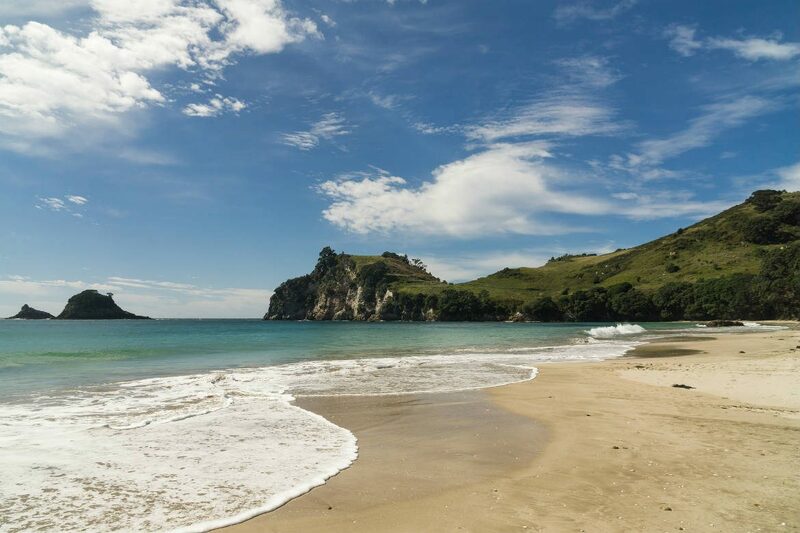 Matapouri Beach – a beautiful white sand beach, this coastal stretch is just 10 minutes from Tutukaka. Check out the Mermaid Pools at low tide and enjoy some safe swimming with the family in tow at the nearby estuary. Poor Knights Marine Reserve – renowned for the good visibility of its waters and the diverse marine species that call it home, the reserve is a great place for snorkelling, diving and guided boat tours. Tutukaka Reserve – offering fantastic views across the Poor Knights Marine Reserve and the surrounding area, a visit to the reserve is a great way to encounter the awe-inspiring beauty of the region. 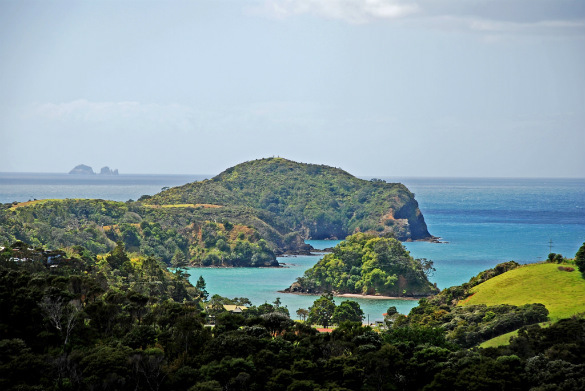 Located to the east of Auckland, the Coromandel Peninsula is one of the North Island’s unmissable regions. Home to beautiful beaches, lush rainforest and no shortage of things to see and do, a visit to the Coromandel reveals countless ways to while away the hours. With more than 400 km of coastline and dozens of villages to explore, there are plenty of opportunities to tailor a trip to the region to your interests, with stunning beaches, great hikes and other fantastic attractions just waiting to be explored. Whangamata Beach – catch some waves at one of the country’s best surf breaks and admire the beauty of nearby Whenuakura (Donut Island). 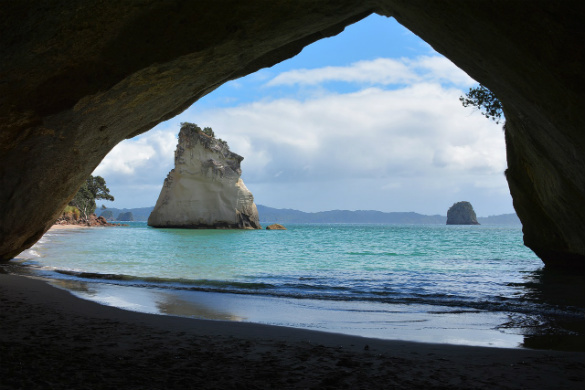 Cathedral Cove – one of the region’s best known natural landmarks, the cove not only features impressive white rock formations but also white sands and stunning turquoise waters. Hot Water Beach – head down to the beach on either side of low tide, dig a hole in the sand and enjoy your own natural warm water spa in the sand. Ready to see more of New Zealand? Hire a car, book hotels, and more, with Webjet today! Feature Image Credit: Sandra Vallaure / CC by 2.0.